There’s not much available in terms of gameplay, it is an intriguing concept though. 3v3 with 15 characters seems quite limited to be honest. I know but the developers are listening to the feedback (unlike some developers) where they have noticed that the hit stops are slowing down the gameplay and combos which by the way they are gonna fix it before the games release. I know people arn’t that happy about the hit stop but I doubt many casual players will care. So long as they make the game fun first and foremost. EDIT: You can’t say a four letter word that rhymes with dam? 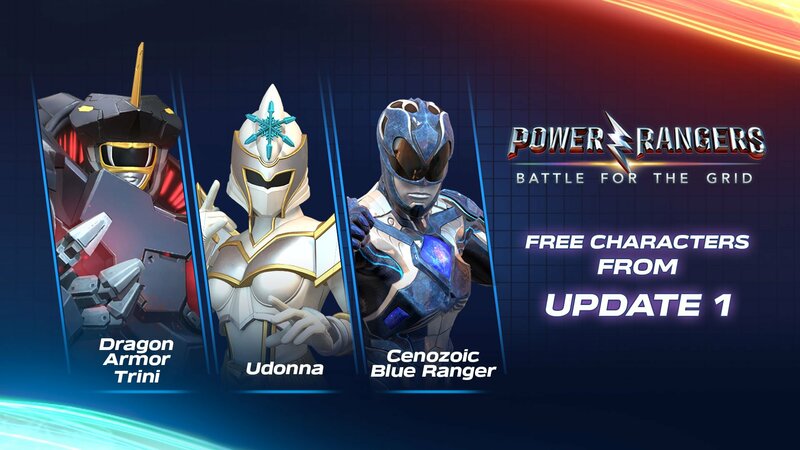 Last Chance to see the Power Rangers Battle for the Grid stream today starts soon. 2 New trailers for Battle for the Grid is out and the gameplay looks so much better. Looks like he might be coming to the game after all, but maybe as dlc or part of the season pass. Also they have announced three new characters coming via a FREE update. These characters are not part of the season pass and are completely free.